Japan burns or buries 3.3 million tons of commercial food waste every year. Then it imports 10 million tons of corn to feed animals, more than any other country. Asako Nagano and her colleagues at the agriculture ministry in Tokyo are part of a drive to recycle more food waste into fodder to help farmers cut costs as they prepare for increasing competition from overseas, she said in an interview on Thursday. 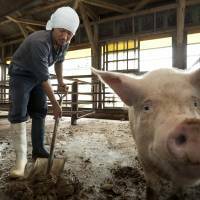 Feed accounts for about half of all costs for Japan’s pig, cattle and dairy producers, who are protected by import levies that start at 4.3 percent for pork and rise to 360 percent for butter, according to the ministry. The tariffs are under threat as Prime Minister Shinzo Abe seeks entry into the Trans-Pacific Partnership trade pact with agricultural exporters including the United States, Canada and Australia. Of the more than 6 million tons of waste from food makers, distributors and restaurants each year, about 2 million tons is turned into animal feed and 640,000 tons is converted to fertilizer, said Nagano. The remainder, which can be anything from bread crumbs to residue from brewing alcohol, costs companies an average of ¥12,000 ($120) a ton to dispose of through the garbage system, according to ministry estimates. Japan imported 13.3 million tons of feed grains in the 12 months ended March 31, of which 10 million tons were corn, 1.4 million tons were sorghum and 1.1 million tons were barley. Any decline in its purchases could weaken sentiment for benchmark corn futures in Chicago, which entered a bear market Thursday on the outlook for larger stockpiles and improved growing conditions in the U.S., the biggest exporter. The contract for December delivery closed at $4.1525 a bushel on the Chicago Board of Trade, leaving prices down 20 percent from this year’s settlement high. 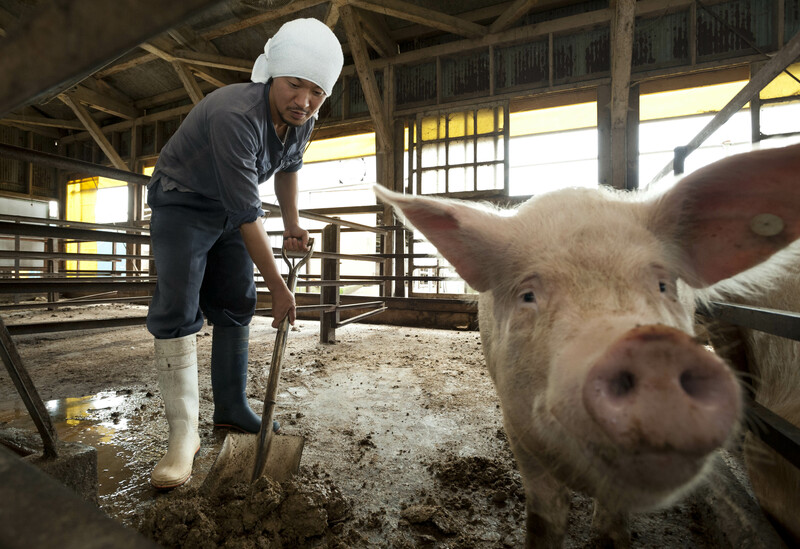 Takara Shuzo Co., Japan’s largest distiller of traditional “shochu” spirits, is among the companies who are processing their waste into livestock fodder. The alcohol-producing unit of Takara Holdings Inc. began recycling waste from distilling sweet potatoes and barley in 2005 at factory in Kyushu, said Tomoko Sakaguchi, a company spokeswoman. It turns 3,500 tons a year of distilling residue to feed, she said. The feed, containing small amounts of alcohol, promotes growth in hogs and raises the vitamin E content of their meat, according to Hisao Kuramoto, a managing director at Japan Pork Producers Association. Takara is one of about 300 companies turning waste into feed, according to the ministry. It bought the recycling plant from Mitsui Engineering & Shipbuilding Co., which has built 11 recycling facilities, according to company spokesman Masahiro Takaoka. Yamazaki Baking Co., Japan’s largest bread producer, sells about 95,000 tons of waste annually for feed, said Kuniyoshi Okamoto, from the Tokyo-based company’s environment division. The TPP talks that are spurring efficiency drives by Japanese farmers aim to link a region with about $28 trillion in annual economic output, about 39 percent of the global total. In addition to Japan, the U.S., Canada and Australia, the group includes Brunei, Chile, Malaysia, Mexico, New Zealand, Peru, Singapore and Vietnam.